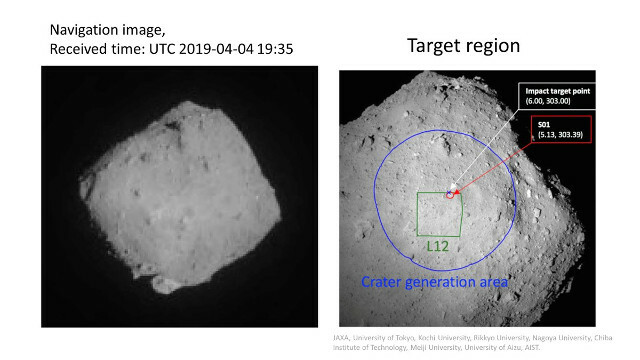 A few hours ago the Japanese space probe Hayabusa 2 generated a crater on asteroid Ryugu, an operation that aims to remove materials from its surface to be able to take samples of subsoil materials that weren’t altered by exposure to space weather. The system called Small Carry-on Impactor (SCI) launched a 2.5 kg copper bullet that was fired into the surface by an explosive system. In a couple of weeks, Hayabusa 2 is scheduled to return to the site to take debris samples. 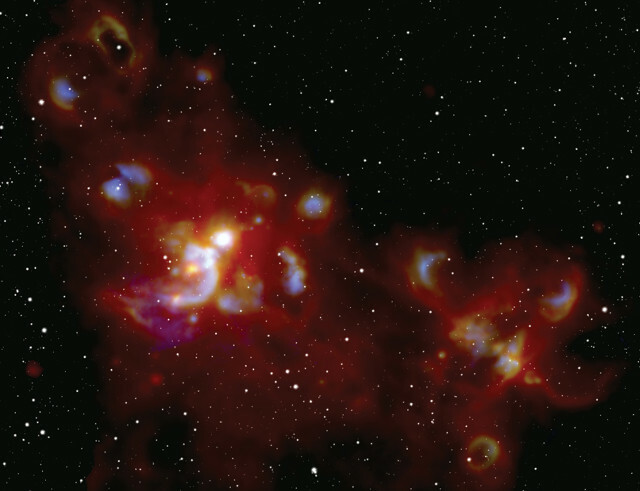 The SOFIA flying telescope was used to study a giant molecular cloud that is a star-forming area cataloged as W51 in order to analyze the newly formed or still forming stars within it. 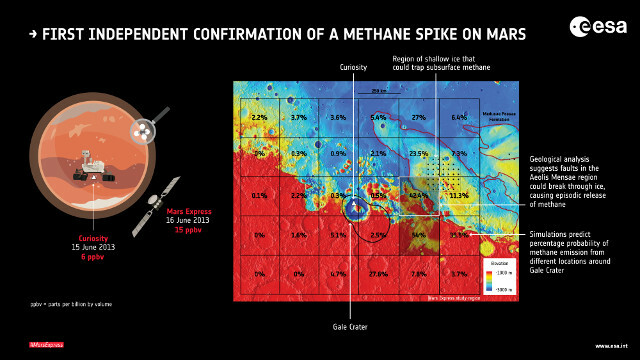 The researchers combined the observations made with SOFIA with those made over time with NASA’s Spitzer and Herschel space telescopes to obtain more complete information on those stars. There was a particular interest in the massive stars and one of them seems really huge, with a mass estimated at about 100 times the Sun’s. If that estimate is confirmed by follow-up observations it’s one of the most massive stars in formation in the Milky Way. 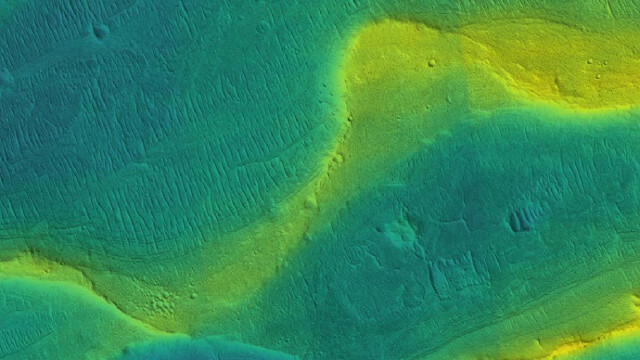 An article published in the journal “Science Advances” reports the results of a research on the ancient rivers that existed on the planet Mars that lead to think that they existed until less than a billion years ago. A team of researchers coordinated by the University of Chicago cataloged over 200 ancient rivers by analyzing model and photos showing the traces of their beds to obtain a conclusion that goes against what the scientists who studied the red planet generally think of, that is, rivers and rainfall disappeared over 3 billion years ago. 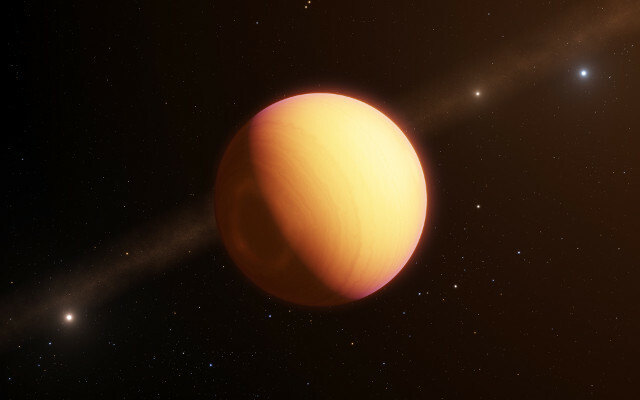 An article published in the journal “Astronomy and Astrophysics” reports the first direct observation of an exoplanet using the technique of optical interferometry. The GRAVITY collaboration, so called because the researchers who belong to it manage the work of the instrument with the same name installed on ESO’s Very Large Telescope Interferometer (VLTI), observed the exoplanet HR 8799 e, a super-Jupiter that has a atmosphere containing clouds rich in iron and silicates that swirl around in a storm that crosses the entire planet.